Jordan Furlong at Law 21 has a great post on decoupling price from cost in legal services. His argument: law firms have never been motivated to streamline the cost of their production because of a long tradition of simply passing costs on to the client. True enough, for decades that mentality has fueled the relentless rise in the cost of legal services. 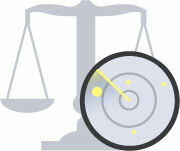 In the years ahead, legal services will be delivered from a variety of different source points. Hopefully we’ll see the overall cost of legal service come back down to Earth as a result. If so, technology and the automation of legal services delivery will have played a big role.